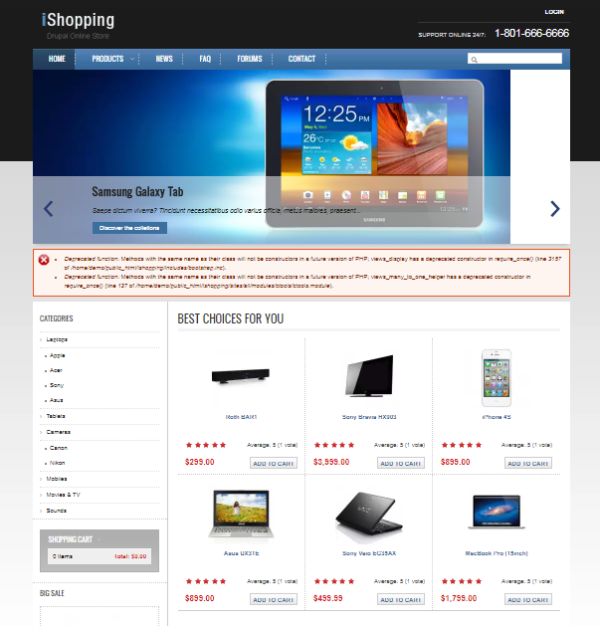 In our previous posting we have mentioned more about eCommerce templates for Ecwid. This time i would like to offer various awesome and free Ubercart themes we have collected for you. 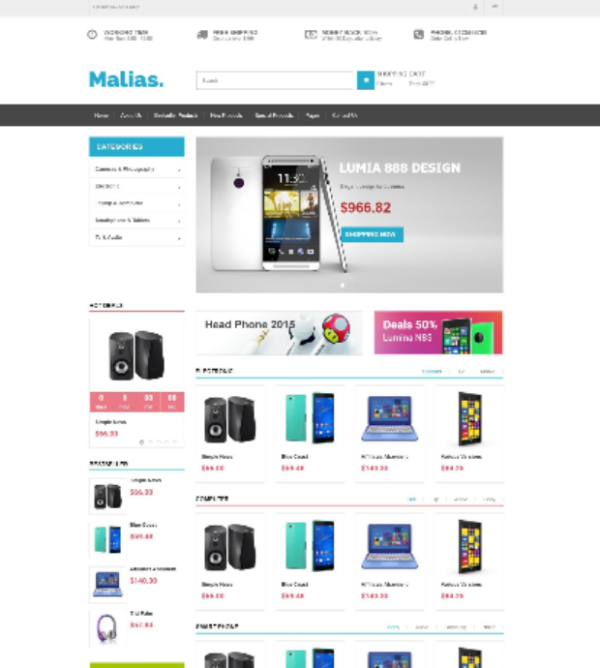 This particular themes is well suited for any types of eCommerce website. Ubercart is an open source ecommerce shopping cart that fully integrates your online store with Drupal, the leading open source content management system. 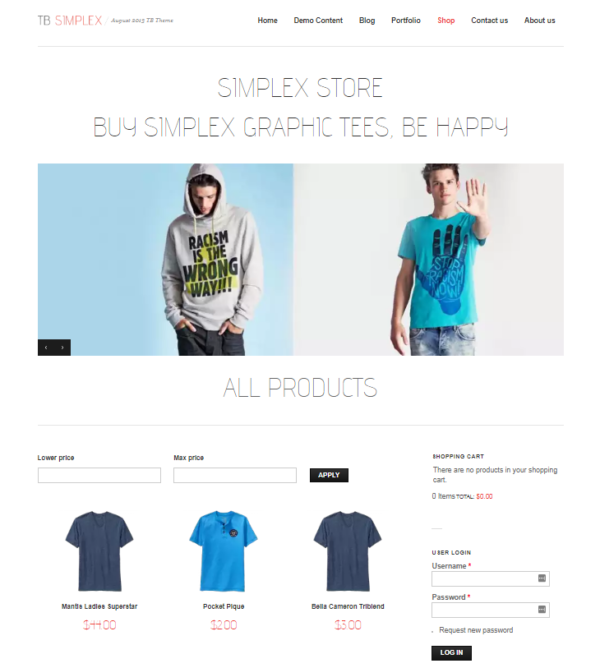 It has very user friendly administrator’s dashboard design with powerful online store management. Our goal is you’ll discover this particular free Ubercart themes stuff is certainly helpful for you and get something you are do you need. We will certainly adding more themes over time, so do not forget to bookmark this post. Please Note: This post includes affiliate links, this means if you simply click on them and buy an item or membership, I’m going to be given an affiliate commission. 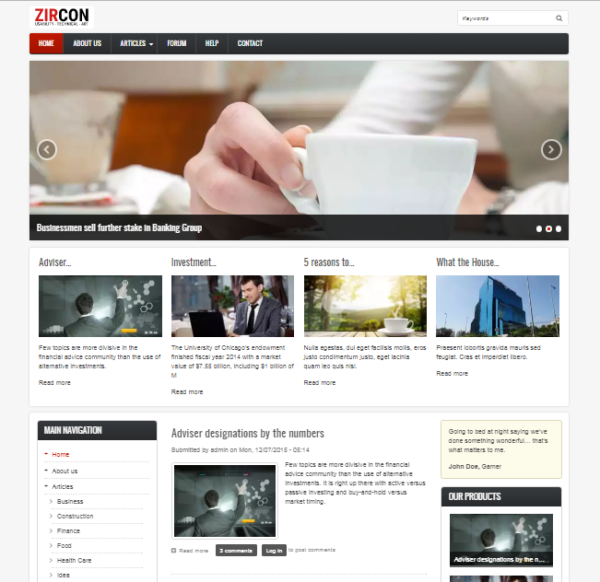 Zircon is a simple and clean multipurpose ubercart theme is a good pick for a business, store, company, or corporate to showcase their products or services on the site. 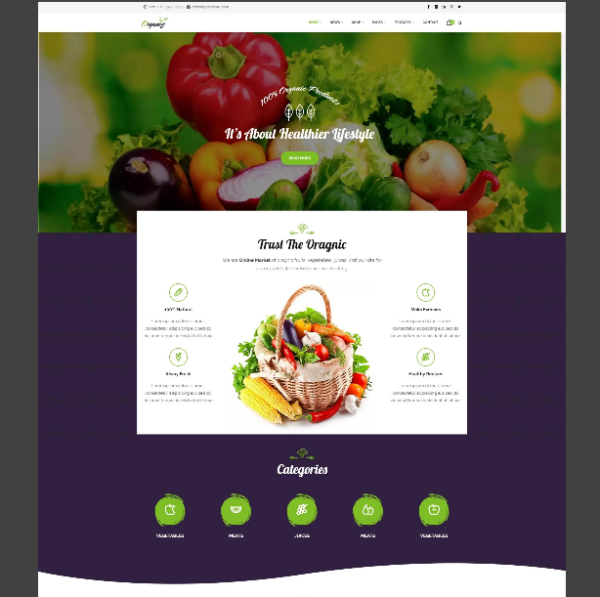 Organiz is a powerful, modern and creative Drupal 8 theme, designed for food and organic food websites. The design is very elegant and modern, and also very easy to customize. The theme has its own super powerful theme control panel with lots of useful options and tools to manage your site. 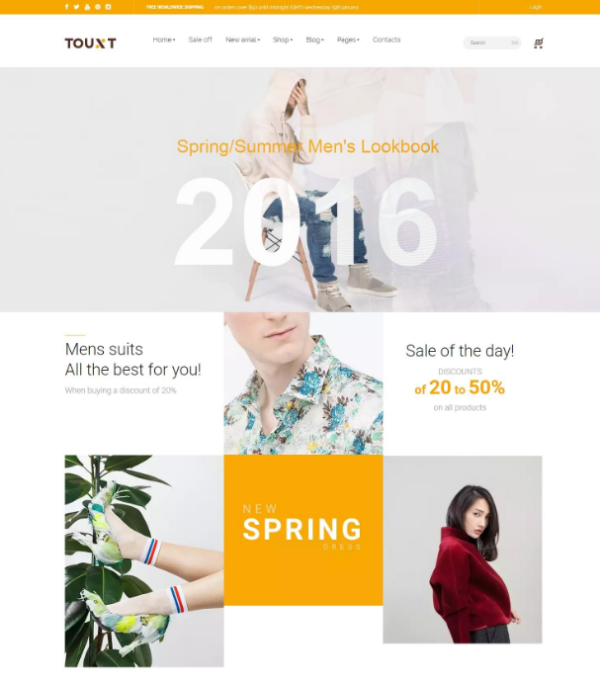 Fashion Cast is beautiful eCommerce drupal theme is a great choice for any eCommerce website. Fashion Cast is compatible with Ubercart and offers 6 different color styles perfectly tailored for developers, photographers or any person or business wanting to showcase their work in a beautiful way. iShopping is an e-commerce web solution enabling small-sized business owners to bring their shops online. iShopping has a lean design, friendly user interface and Uber-cart technology that will help customers find what they want whenever they need it without any distractions. Stem is a creative fully responsive One & Multi page Drupal 8 theme with many options and multiple concepts to choose from. It is incredibly customizable, powerful, and clean modern design. Perfect for building education, government, e-commerce website, small and medium business website easily. 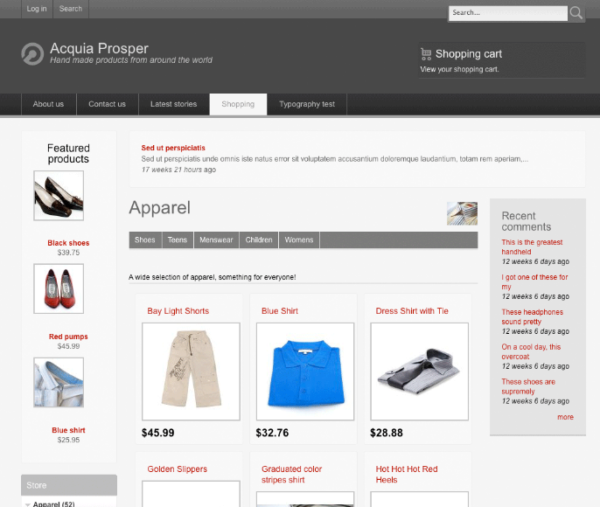 Acquia Prosper is simple eCommerce template with a monochromatic look and clean lines. It is designed as an Ubercart e-commerce theme that is easy to customize, but is extremely flexible for any type of site. TB Simplex is just perfect for any complex purpose you can think of in a simple design. e commerce, portfolio, blogging, organization or community site. include 6 homepage design layouts, 3 portfolio layouts, and 3 blog layouts. 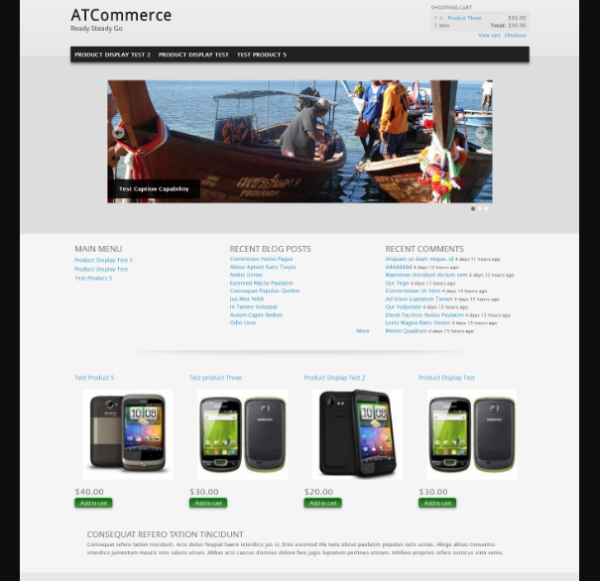 AT Commerce is fresh, professionally designed theme for eCommerce sites with baked in support for the Commerce module and Ubercart. Mobile eCommerce is supported using responsive design methods, so your online store will display and work across mobile channels without any extra work or effort. 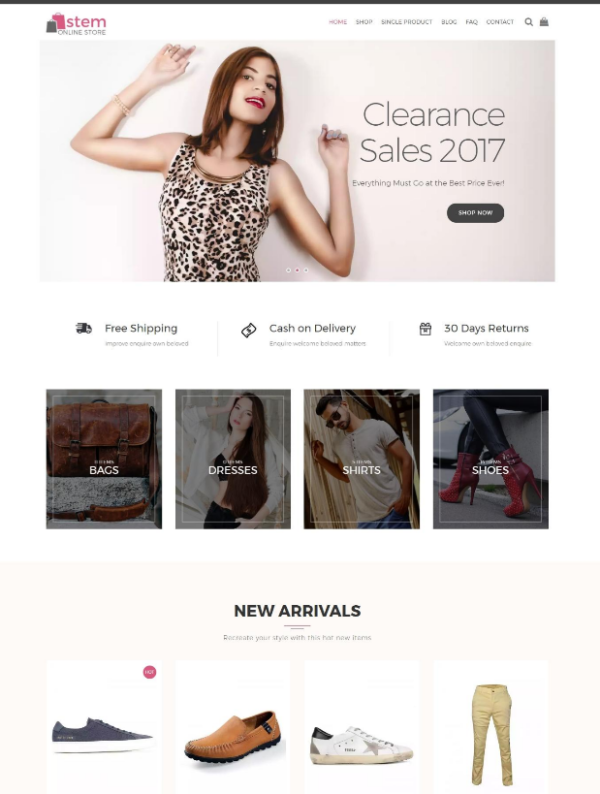 Touxt is responsive shopping bootstrap drupal 8 theme which perfect for selling clothing, fashion, high fashion, men fashion, women fashion, accessories, digital, kids, watches, shoes,furniture, sports, tools online store website.